We’re delighted to have been able to get fantastic rates with some of Auckland's main hotels; you’ll find them some of the best deals in town! Perfectly situated in the heart of Auckland CBD is SKYCITY Hotel. The 4.5 hotel offers 323 well appointed rooms and a place to relax and unwind with world-class entertainment at your feet. 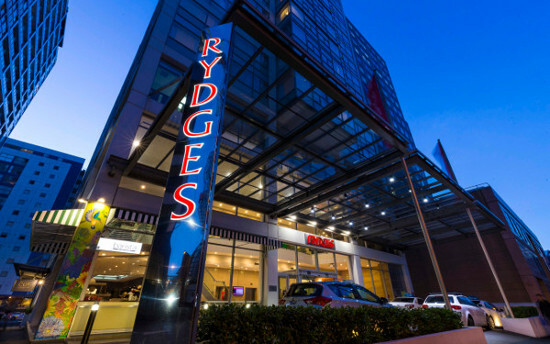 Adjacent to the SKYCITY Auckland Convention Centre and with direct air-bridge access to the venue, this hotel has excellent proximity. Right in the middle of the SKYCITY Auckland entertainment destination you can feel the anticipation and excitement of your adventure starting here. SKYCITY Grand Hotel offers guests a truly five-star experience. Whether your stay is for business or pleasure, the friendly and attentive team will attend to your every need. Beautifully appointed, modern and spacious rooms are just the start of the five-star experience. Stunning views, award-winning dining at your door step, the iconic Sky Tower and the tranquil East Day Spa await you. 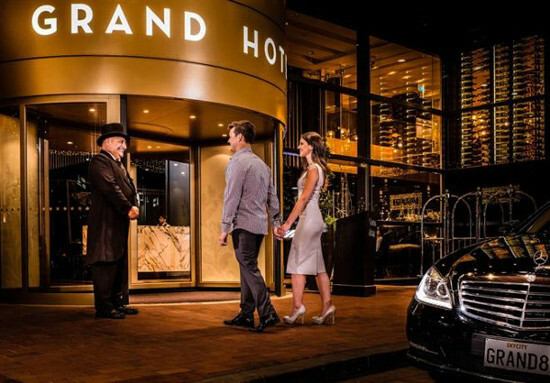 Secluded within the entertainment hub that is SKYCITY Auckland, the Grand Hotel has a natural charm where you can leave the hustle and bustle at the front door. 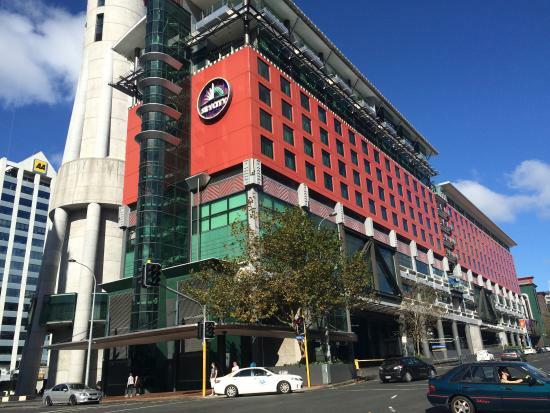 Ramada Auckland is located at 219 Federal Street in the CBD and is one of the newest hotels in Auckland Central. 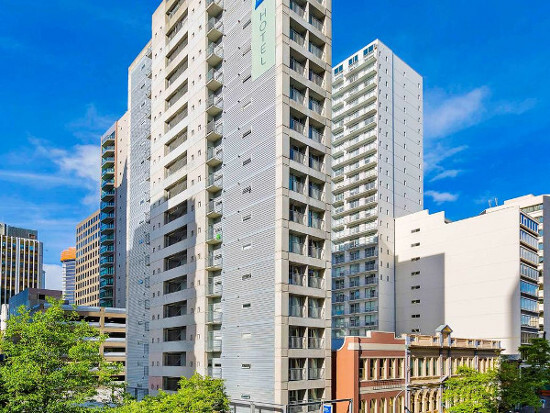 Just a few minutes walk to key attractions including Sky Tower, Sky City Casino, Aotea Square & Events Centre, Civic Theatre, Britomart and the Viaduct. Relax in our trendy apartment-style hotel with everything you could possibly need. Each apartment comes with a kitchen, washing machine / dryer and SKY TV. 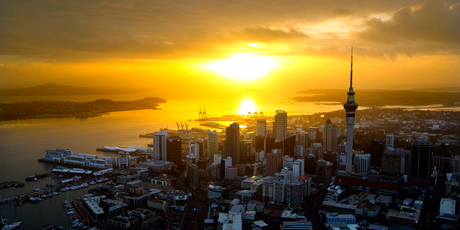 Enjoy a night out in Auckland with your accommodation within walking distance. 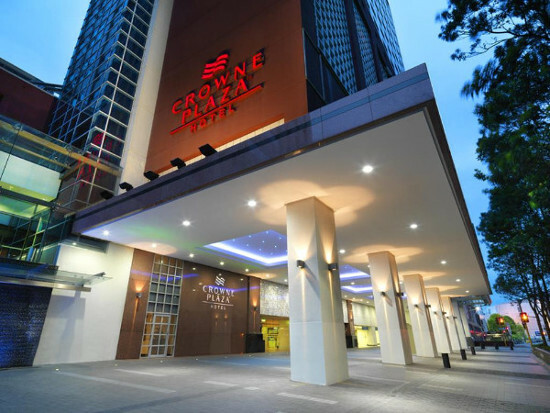 Crowne Plaza Auckland is an award-winning Auckland hotel in one of the city’s best locations – just a minutes stroll from the Sky Tower and Auckland’s best restaurants, shops and theatres. Whether you’re here for business, pleasure, or a little bit of both, we offer the perfect combination of comfort, service and convenience. Enjoy a new way to travel, where you feel fully connected with free Wi-Fi in all the hotel areas. We have a great range of hotel facilities including a Club Lounge, a well-fitted out hotel gym and 24-hour business centre. Our Club Lounge is unique to hotels in Auckland and Club guests can enjoy 24-hour access to an exclusive area with incredible harbour views, computer facilities, newspapers plus complimentary continental breakfast, beverages and canapés. 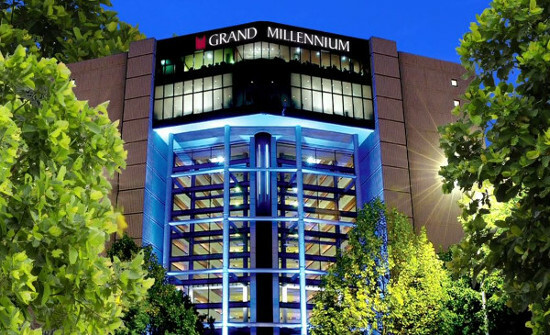 Welcome to Grand Millennium Auckland, superbly located in the city centre close to Queen Street and Viaduct Harbour. Whether you are travelling for business or leisure, you will appreciate being situated in the very heart of cosmopolitan Auckland with some of the city’s finest dining, shopping and entertainment venues at your doorstep. 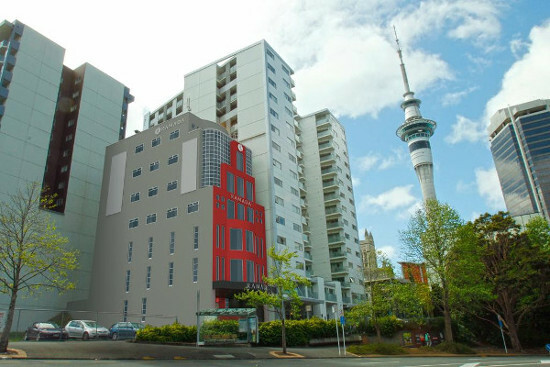 This Auckland CBD hotel is linked via an underground tunnel to Auckland Conventions. Also nearby are landmark venues: The Civic, Auckland Town Hall and Aotea Square, the city's largest outdoor civic space where you can relax and often attend local events. Grand Millennium Auckland strives to provide you with a superior experience through excellent service and attention to detail. We have a great selection of central accommodation options for you to choose from. Let us take the hassle out of organising your stay while in Auckland.